Malaga is famously known for its superb beaches and sunny weather making it a top holiday destination for Brits in search of a tan and golden sand experiences. Add to that the Mediterranean aromas and some of the best tapas in Spain and you’ve got yourself a city full of tourists ready to have fun. The couples though, might wish to discover the romantic side of Malaga. For this Valentine’s Day, here are 5 romantic things you can do in Malaga. 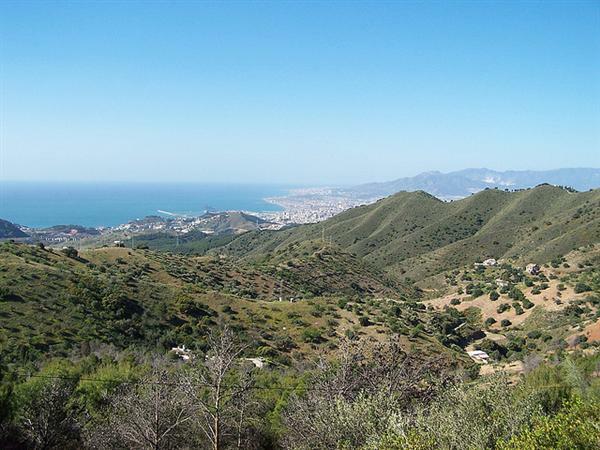 The easiest way to discover the best of Malaga is by car. Plus, it’s cheaper if you rent a car with a good discount. Once that is done you can drive through Malaga to the Parque Natural de los Montes Park.It’s pretty easy to find, and once there you can enjoy a nice picnic with Cheese and Jamon and then explore the area to spot a chameleon as one of the largest colonies of chameleons in all Andalusia is there. East of the city, if you drive towards Torremolinos you will find one of the last unspoilt beaches of Malaga. Hire a sunbed and enjoy the white sandy beach with your loved one. To top the day off there are two restaurants close by to delight your senses with extraordinary Mediterranean dishes. It’s only a 15 minute drive over the highway, so buckle up and get that suntan you know you crave for. There is no Valentine’s Day if you don’t have dinner at the number 1 Restaurant in Malaga. Tapeo de Cervantes has the most beautifully cooked and simply divine dishes. If looking at the menu is giving you a headache the waiters are very helpful in terms of helping you choose from the variety of tapas on offer. You can expect to pay approximately €3.50 with 1/2 plates between €5.50 and €8 and don’t forget to book in advance as the place is cosy and tiny but extremely popular. The Museum of Glass and Crystal (El museo del Vidrio y Cristal de Málaga) is something you don’t want to miss on this trip. This elaborated restored home is filled with a fantastic glass and crystal collection – the tour guide will make you a glass geek after the first five minutes. For €5 entrance fee will get a memorable experience – it’s a pretty good deal. You can’t visit Andalusia and not see a Flamenco show. The live performance at the Kelipe Centre (Centro de Arte Flamenco) is one of the most authentic in town. The acoustic and graceful dance of the artists make the room in the 18th century “palacio” resonate with magic. Make sure you book you flights and get find offers now for your romantic trip to Malaga. Holiday Autos car rental discounts are running all year round so it’s well worth grabbing checking out the Malaga deals now, so you can spend more money on your Tapas.